Google Review/ Gift Certificate Giveaway! How was your recent visit to Lucky Bamboo Tattoo? 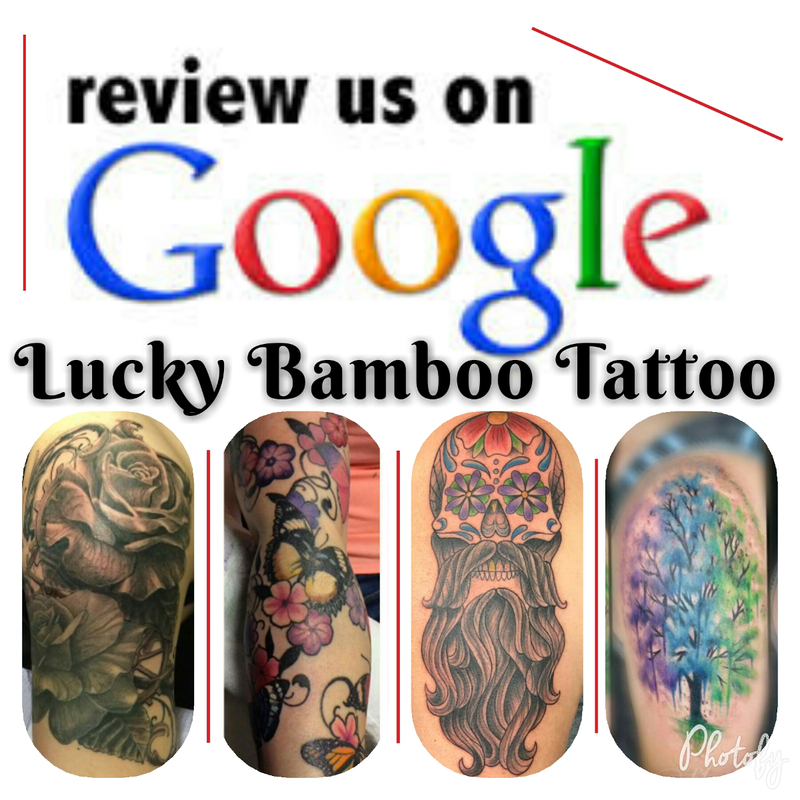 Head over and leave a Google review and you could win a $50 Lucky Bamboo Tattoo gift certificate!! Go to https://www.google.com/local/business/u/0/b/114032614109561334550/reviews/l/18273745557104319385?service=plus&hl=en and tell us about your visit. Thanks to all of our clients and for all that you do to support Lucky Bamboo Tattoo!